As anyone can tell you, business is risky, especially for startups. Yet the risk involved is not to be responded to fearfully, running away from “what could be” with your tail between your legs. We become fearful from thinking that the unknown will be worse than our current state. But risk is inevitable. There’s risk involved if you take action, and there’s inherent risk if you do nothing. Meet that risk head-on! Facing risk requires getting into a state of mind where you are convinced that the unknown will not be worse, but better, than where you are right now. Getting to that state requires trust: trust in yourself, your partners, and your team members. Since we’ve established that every path contains risk, the best option is to move from complacency to strategy. When you shift your focus from risk and fear to a focus on strategy and opportunity, you take your first step toward success. Is There Such a Thing as Being Too Risky? You can absolutely find yourself taking risks with bad odds. You’ve gone too far when you take unnecessary risks and reach beyond reasonable possibilities. You have to push yourself to the limit to know where it is, but once you find it, be smart. Don’t keep pushing and pushing when you don’t need to. It’s helpful to self-assess to make sure you’re within bounds. You need to make sure you understand who you are, why you make decisions, what makes you happy or sad, how you behave in front of different people, and what they think about you. When you want to understand yourself as an individual, you look to upward feedback, 360-degree reviews, and mindfulness. As a business, you want to understand your position and limits, so look to analysis, scenario planning, quality assessments, benchmarking, forecasting, and a risks matrix. You shouldn’t take risks on gut feelings alone. When you need to stay focused on your goals and communicate strategy, it helps to simplify down to one big thing you’re aiming for, as well as one big thing to ensure you absolutely don’t do. The main thing to aim for is to have a good reason behind your actions. You need to have a purpose that warrants big actions. You also need to make sure that every single employee on every single level has a firm grasp on what the driving purpose is. If people explicitly understand the overarching vision, values, and mission of the company, they are more likely to consistently band together in the right direction. The big thing to avoid is standing still. Change is the only certain thing about the future, so avoiding it could destroy you. Anticipation and perseverance are keys to being successful. There are 6 key business drivers that I recommend a risk analysis on. As you sort through these questions and figure out the answers, you will get a firm grasp on what, and how big, your risks are. Reason: Is it clear, aspirational, and understood and supported by your people? Rouser: Do you have the right leaders in place? Revenues: Are your business model, cash flow, and clients what you want? Relationships: Do you have the right relationships with the right stakeholders? Reputation: Do your stakeholders have the perception of you that you want them to have? Does it match who and what you aspire to be? Resilience: Are you ready for the unknown? Do you have the culture, processes, tools, and people in place that will keep the business running in case of major bumps in the road? It is distinctly impossible to avoid risk, but it is an especially obvious issue for startups. Your response to the fear you may be feeling as you take the plunge (and then another) should be to prepare your business well with a risk analysis, avoid pitfalls as much as possible, and ultimately succeed in reaching your goals. If you follow this strategy and get out of your own way, there’s no reason your startup won’t become the business you want it to be. Luis Gallardo is a global brand and marketing leader and expert in the areas of strategic brand management, brand engagement, brand expression, marketing, communications, business development, and reputation management. 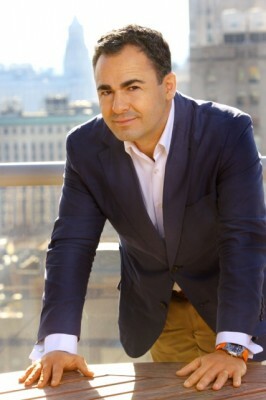 Former managing director of global brand & marketing at Deloitte, Luis provided leadership to Deloitte’s member firm network of more than three thousand marketing and communications professionals. Author of the book: Brands & Rousers.